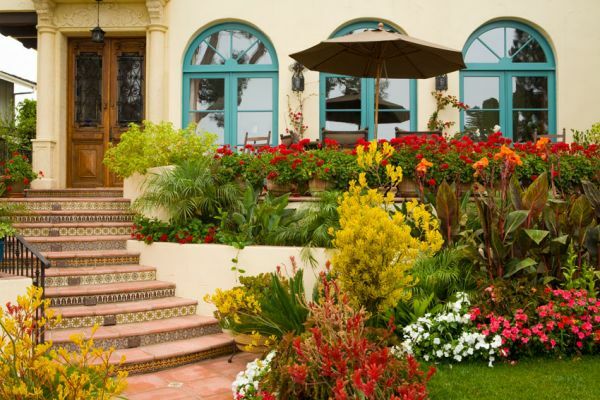 The design of this residence was inspired by the by the traditional Mediterranean architecture of Santa Barbara. 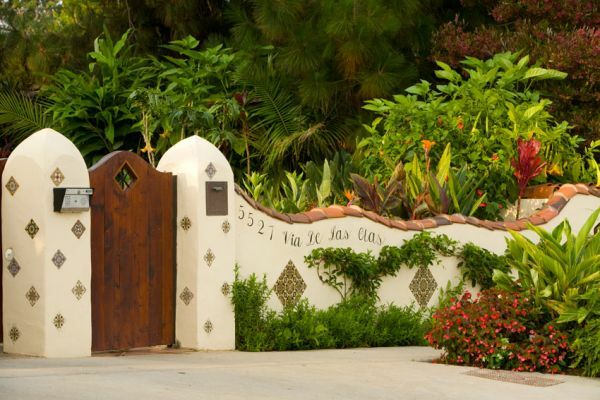 Ornate Malibu tile, stucco wall, Saltillo floor tiles, and heavy wood beams are used extensively throughout the interior of the house. 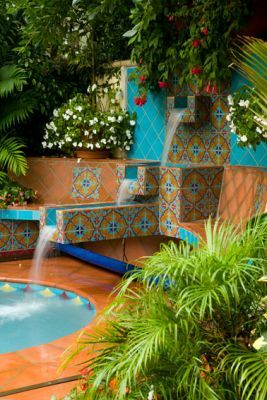 This theme and materials are carried into the landscape through the extensive use of Malibu and Saltillo tiles in the deck and stairs, and swimming pool area. It is also reflected in the use of heavy wood beams over the barbeque counter. 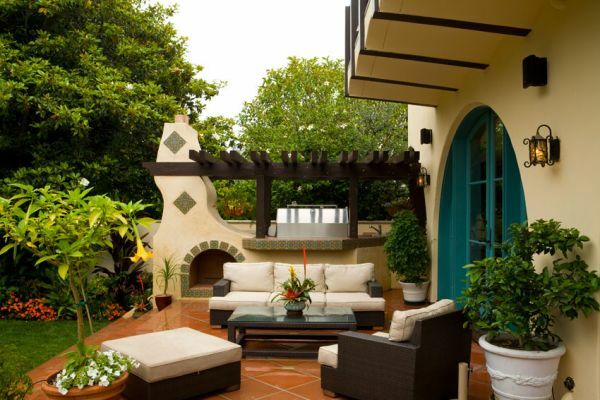 The walls and bar-b-que counter are stucco accented by the lively colored Malibu tiles. 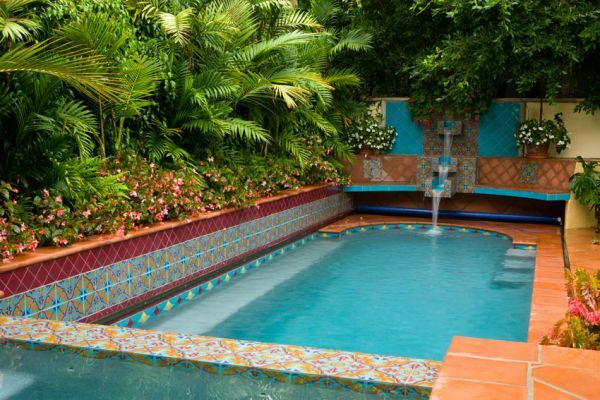 The swimming pool flume fountain is entirely faced with Malibu tiles. 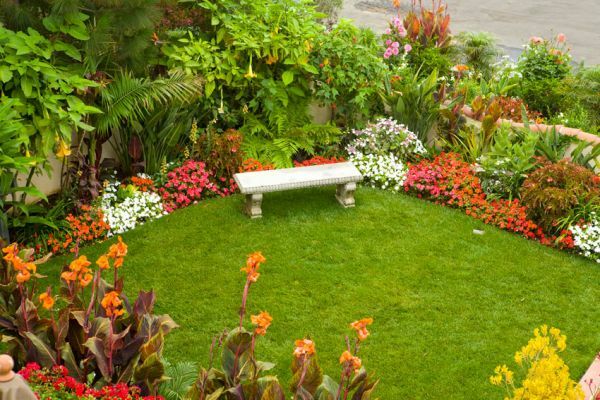 This theme is continued through the use of colorful and exotic plantings that enliven the landscape. The whimsical nature of the house is also carried into the landscape by the undulating front wall and curving chimney over the outdoor fire place.